A raging patent battle between Huawei, the third-largest smartphone manufacturer in the world, and a US data software firm called Unwired Planet has resulted in a surprising ruling against the former, who has been threatened to face a sales ban in the United Kingdom, lest it not pay royalties for global sales of its devices. 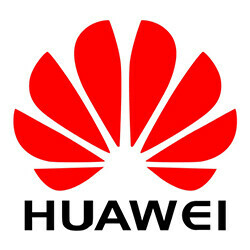 The lawsuit between Huawei and Unwired Planet (henceforth called "the patent troll") has been going on for more than three years, with the recent ruling coming a couple of months after an April decision by the High Court of England and Wales that Huawei is infringing on the patent troll's intellectual property (which mostly consists of more than 2,000 patents acquired from Ericsson back in 2013). Following the April decision, Huawei had offered to pay a licensing fee, but was denied due to making its proposal too late. Unsurprisingly, Huawei isn't the only corporation to be swept in a similar battle with the patent troll, who, as of October 2015, only had sixteen employees. Other lawsuit victims include Samsung, Apple, Google, and BlackBerry, with the former two having settled out of court. According to the terms in yesterday's ruling, Huawei has to pay between 0.032 and 0.064 percent of a phone's selling price, which amounts to a couple of pence per device. And since this ruling mandates royalties be paid for devices sold not just domestically but worldwide, this amounts to more than 2 million pounds for last year alone. Huawei claims its business won't be affected by the decision, however, and intends to pay the royalties, but not before filing an appeal by the end of the month. Hm..... since they already sued most of the major player in the market, I wonder when would they start suing Microsoft too. Great, like it is "easy" to buy a Huawei phone that works around most of the LTE frequencies now.